MURRAY – A leader of the Kentucky Teachers’ Retirement System said he believes the ship has been righted, provided state funding and return on investments continue an upward trend. KTRS Executive Secretary Gary Harbin spoke at a meeting of the Calloway Retired Teachers Association held Monday at the Murray Woman’s Club. This was part of a statewide informational workshop series Harbin was coordinating. Harbin added that the pension investment has returned more than 10 percent. He said there were several groups to thank for efforts made to turn around what has been called the most underfunded pension system in the country, from the KTRS board of trustees to legislators who voted for funding and the local groups of retired teachers that made their voices heard both at home and in Frankfort. At the same time, Harbin acknowledged discontent among educators. He said there are future hurdles that will have to be dealt with for the pension’s long-term viability, including an anticipated Kentucky Supreme Court decision on whether a pension overhaul passed by the state legislature earlier this spring will hold. That plan would, in essence, move new teachers into a hybrid cash-balance plan rather than a traditional pension. It would mean less risk for the state but less of a guarantee for those investing in it. In June, Franklin Circuit Judge Phillip Shepherd ruled the bill unconstitutional. Harbin also said another issue could be what he described as a multi-million shortfall in health benefits. That includes the newest state budget not subsidizing family health care costs for those under 65. “The other shortfall is the second year of the biennium,” he said. “We were so far ahead of projections that $70 million for under-65 coverage – that was the state’s portion of shared responsibility – was now going to have to be paid out of the 65-and-over pool. 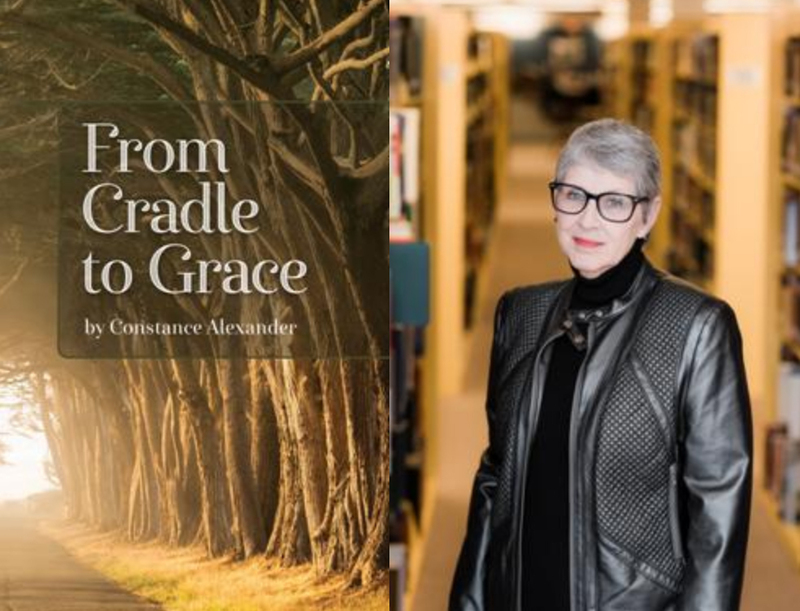 From Cradle to Grace is an upcoming chapbook of poems about women and care giving and is in the pre-order phase from Finishing Line Press. The book will ship August 10, and pre-orders determine the initial press run. Order online at www.finishinglinepress.com. Click on Preorder Forthcoming Titles or Bookstore, put in my name (Constance Alexander), and voila! "I love this little book. These poems are startling, profound, and enlightening. They give me the shivers, they're so plain and direct--not dressed up. This exactness makes thrilling poetry, stuff that might be hard to bear if it weren't so funny. And true." KRTA wishes to express our appreciation to all retired teachers as we near the end of national teacher appreciation week. Kentucky's retired teachers remain a powerful, steady and respected presence in communities all across the commonwealth. Donating over $22 million dollars worth of school supplies, canned food, and volunteer time in their communities this past year. In retirement, teachers are active and engaged. You are volunteers who continue to create strong communities. You lead organizations. You educate and lobby policymakers. 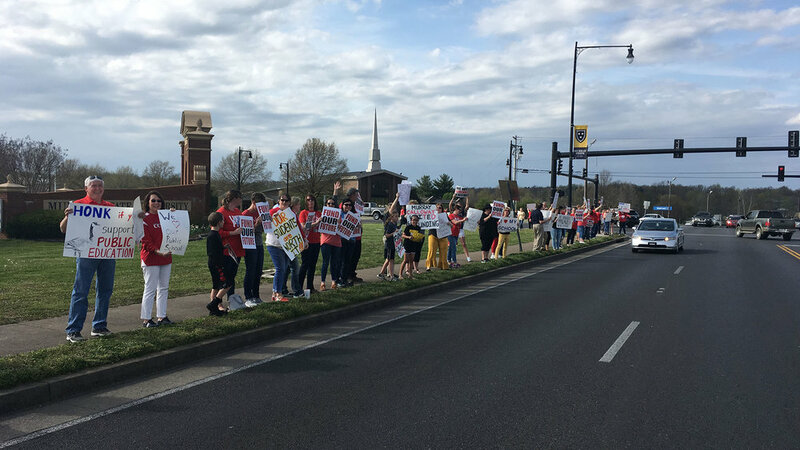 You are protectors and fighters and your spirit was particularly visible this year, as retired teachers across Kentucky advocated for retirement benefits and education funding. Thanks for all you have done and continue to do to make Kentucky a great place to call home. Calloway County, Murray Independent, and MSU teachers, current and retired, hold a rally in Murray. "The Gift of a Great Teacher"
As we celebrate National Teacher Appreciation week, all of us should acknowledge how important their work is. In a letter to the Kentucky Democratic Party, Senator Morgan McGarvey (D) Louisville, asked the question: Perhaps you have a teacher that you would like to thank? In the current climate in our state, with its Koch Brothers infused, Matt Bevin led, ALEC sponsored, Bluegrass Institute promoted attack on public education, teachers, and the teaching profession, many on both sides of the aisle have been disgusted by this unwarranted intrusion from out-of-state forces and their dark money. Thankfully, Kentuckians have shrugged off this ridiculous campaign. Teachers dedicate their careers to the lives of OUR children. How many teachers have bought coats and gloves when their students were cold? Paid for supplies out of their own pockets? Stayed late? Spent weekends attending sporting events, academic programs, and grading papers? Challenged their students to be their best? Inspired their students to explore their dreams? Exhibited countless acts of selfless devotion to their students’ well-being? There are many synonyms for a teacher: tutor, coach, trainer, adviser, mentor, guide, and educator. Teachers wear many hats and are some of the best multi-taskers in the world. I would like to take this opportunity to thank the teachers who had an impact on my life. Miss Kaylor, my first-grade teacher at Thomas Jefferson Elementary in Bristol, Virginia, who allowed me to be promoted to the second grade after a serious eye injury caused me to miss 30 days. Mrs. Montgomery, my third-grade teacher and full-bloodied Cherokee, who was full of life and taught us how to do the twist. Mrs. Greever, my fourth-grade teacher at my new school, Fairmount Elementary in Bristol, Tennessee, who was one of the funniest and most optimistic persons I have known. I loved coming to school. Mrs. Morefield, my sixth-grade teacher, who was a taskmaster where I mastered the love of learning. Mr. Johnson, my seventh-grade English teacher at George W. Vance Jr. High, who taught me how to enjoy reading the classics of Dickens, Defoe, and Longfellow. Mr. O'Dell, my ninth-grade Algebra teacher at Bristol Tennessee High, who gave us one “word problem” every night for homework. It taught me how to read, then transpose letters, symbols, and numbers for the words. "Granny" Parlor, my tenth-grade Biology teacher at my new school, R.B. Stall High in Charleston, S.C., who inspired me to love the sciences. Dr. Thomas Peake, my Modern European History professor at King College, who inspired me to major in History and Political Science. Mr. Mohrfeld, a Political Science Professor at The Citadel, who made the U.S. Constitution and those court cases come alive. If you have the opportunity, contact a couple of your favorite teachers and tell them how much you appreciate, admire, and support their professional work. Thank them for that priceless gift they gave you. So, when the misguided politician comes after their dignity, their pension, or their profession, those teachers will know that you have their back! And better yet, in November, send a message by voting to support teachers and public education in the next election cycle! to a new world order?